SET: Mr. Food Test Kitchen: Guilt-Free Weeknight Favorites & Hello Taste, Goodbye Guilt! 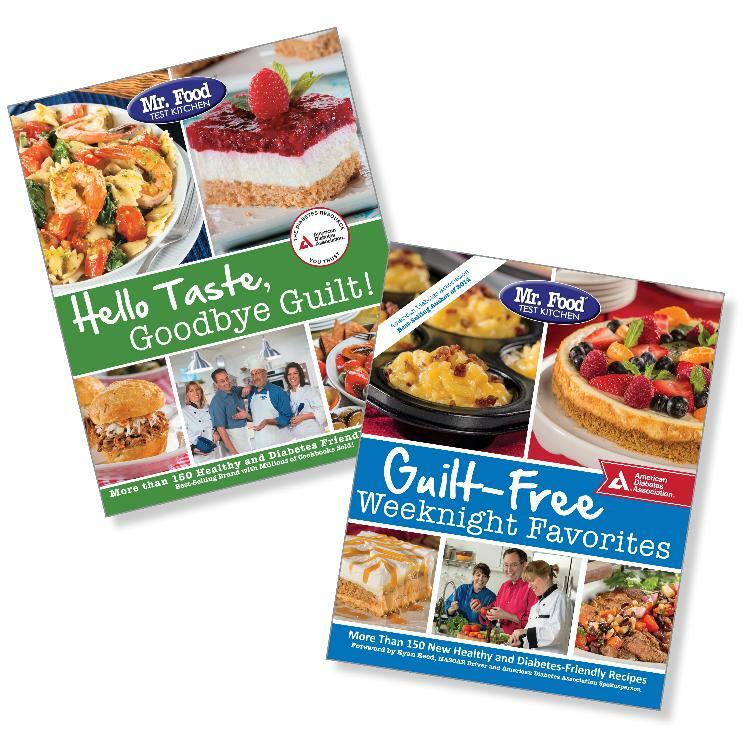 Buy Mr. Food Test Kitchen's Guilt-Free Weeknight Favorites and Hello Taste, Goodbye Guilt! and SAVE! The Mr. Food Test Kitchen’s Hello Taste, Goodbye Guilt! cookbook is packed with more than 150 mouthwatering recipes and over 100 enticing photos to make the recipes truly come to life. So whether you’re looking to control your diabetes, or just want to eat healthy, you’ll find recipes for every occasion. You’ll also find lighter options from appetizers to desserts, without having to sacrifice any of the taste—all in the Mr. Food Test Kitchen’s quick and easy style.